Dynamite LONE RANGER (2012) #2 3 4 5 10 12 13 16 17 18 +VARIANTS LOT Ships FREE! The Lone Ranger and Tonto #1-3 Topps ......Save on Shipping! 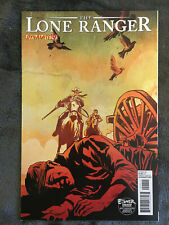 Lone Ranger (2012) #1 A & B NOS!!! THE LONE RANGER #1 B - Francavilla Cover - 2012 - Dynamite - NM Comic Book! This page was last updated: 23-Apr 17:13. Number of bids and bid amounts may be slightly out of date. See each listing for international shipping options and costs.